We all learn best when we are comfy! A lot of coworkers and friends have asked why get rid of your tables and chairs!? Especially why do it well over halfway through the school year. Well I am going to explain why and how. For starters, I knew that my classroom needed some change. (I try to change it up each year.) My students were not getting along at their tables. They were crowded. The kiddos wanted to mess around and play during independent work. I had several boys up out of their seats wanting to stand - which I was totally fine with as long as they were working. But I felt it made it even more chaotic with their chairs everywhere and this stressed some of my girls out! HAHA! I had been researching how to better get my students to be successful completing their independent work in a timely manner. 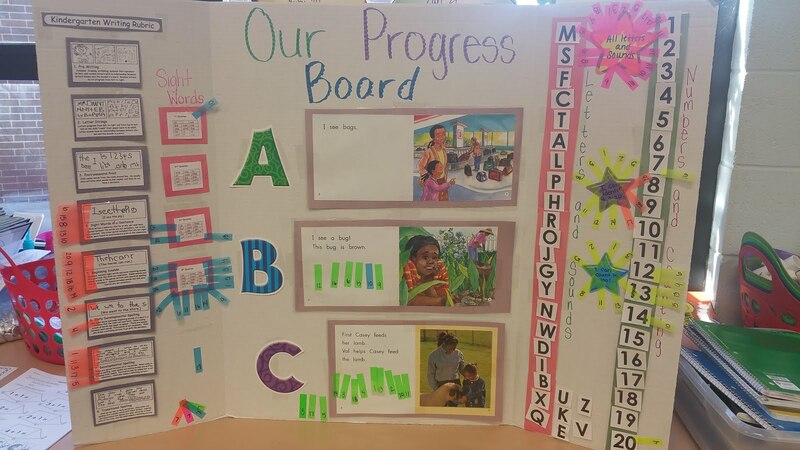 I came across TheKindergartenSmorgasboard.com by Mr. Greg! He is pretty much amazing and has some of the greatest ideas! Here is his actual link to one of his blogs about carpet seating. 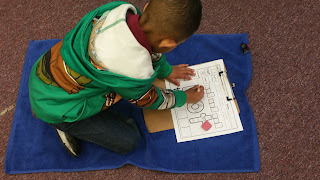 TheKindergartenSmorgasboard - Carpet Seating Mr. Greg actually took some time to answer some of my questions on Facebook about my concerns with starting flexible seating in my classroom. So with his help and encouragement I decided why not go for it! So I went to my principal and told him my plan. He was very supportive, gave me more encouragement, and told me he couldn't wait to see it in action. So off I went with all my excitement to pass on to my kids!! 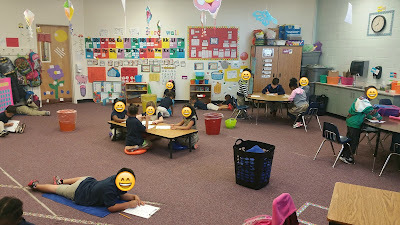 Once they got to their independent work time the students were so happy to pick a place around the room to sit and get to work. I don't recall them being so quiet except the first day of school. I stopped and looked around the room at some of my busy bodies actually sitting and working!! No one was fighting over supplies. No one was rolling around on the floor. No one was spilling all the crayons everywhere. No one was wanting to boss and pass out pencils. THEY WERE ALL WORKING! THEY WERE TRUELY COMFORTABLE! I honestly can say I teared up because my heart was bursting with happiness! I DID IT! THEY DID IT! WE DID IT! At that point I snapped a picture and sent it to everyone I could think of that I had shared my vision for my classroom with! I went home that night and wrote up a donor's choose project for some materials. I asked for clipboards, bath mats, lap tables, and balancing discs. My donors choose project was soon funded and we were very anxious to get our materials. Once we got them it made it even more fun for my students to want to find a place to sit and get to work. 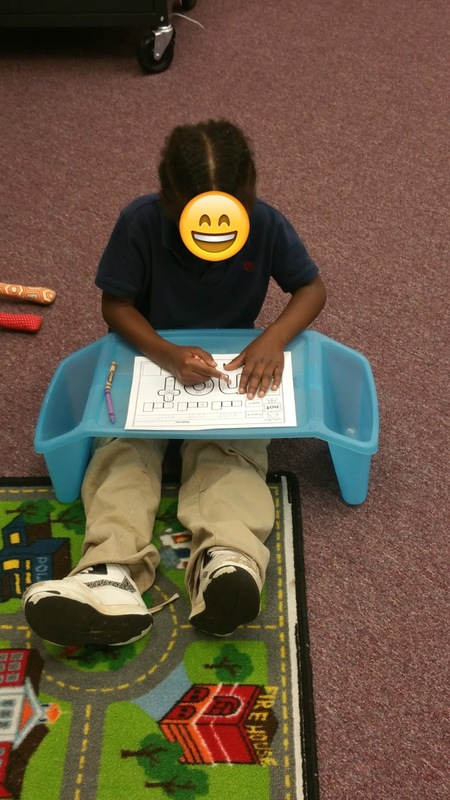 Here are some of the options my students have that they can use: bath mats with clipboards, lowered table to sit on knees or balanced disc, balanced disc with clipboard, regular table and chair, bench with clipboard, or lap table. I plan to add more next year - mini pool, lots of pillows, and some scoop or lounge chairs. The possibilities are endless. They used community supplies and it worked great because they went and got what they needed and went back to their spots. I store my bath mats in laundry baskets I got from WalMart. My clipboards are stored in baskets from Dollar Tree. I have two baskets full of crayons placed around the room as well as pencils placed in various places around the room. Here are some pictures of my students working in my classroom. I ultimately decided to implement this strategy in my classroom because I believe we don't all work best the same way. 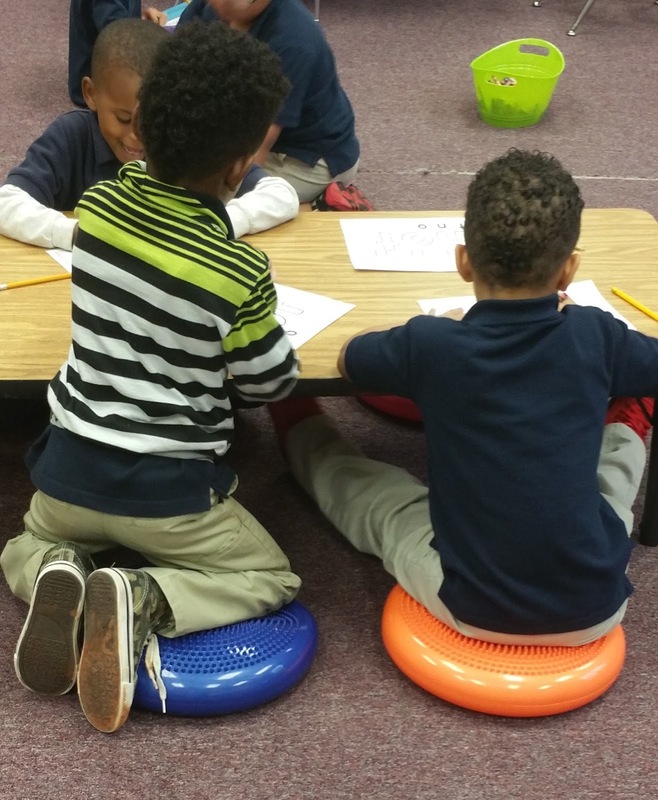 Especially at the age of 5 and 6, these students need to be able to move around and lay or sit how they feel they work best. Even as adults we don't sit and work the same way. I know I work best laid out on the couch with my laptop, but my hubby works best sitting at a desk. We finished the year off using our flexible seating. 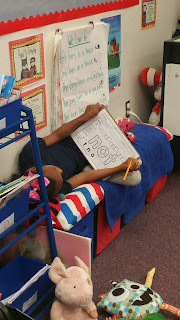 I can not wait to start the upcoming school year with my flexible seating! I know these students are going to enjoy it just as much as the last class. 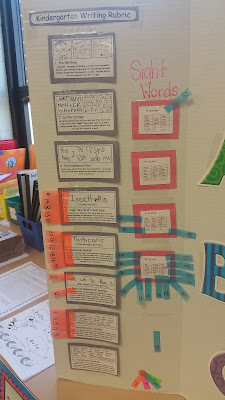 Rigor from start to finish. We all hear this from our administrators from the beginning of the year until the last few weeks of the school year. Do we really know how to successfully make sure we have rigor in our classroom? As educators we all like to think that we are implementing some type of rigor in our class. Honestly it took me a few months to really understand what this would look like in a Kindergarten classroom. I always thought well this is just adding more work to my day and are my 5 year olds really going to understand what rigor is? The more I researched it, the more I thought most of these things I am already doing and do not even realize it. For example: The open ended questions, giving students additional time to answer questions, letting my students know that the harder they work the easier a skill will be for them. But there had to be more ways to make sure my students were getting the most out of what I was teaching them. I needed to be able to show them I had high expectations for them and that I knew they were capable of reaching those high expectations for them. 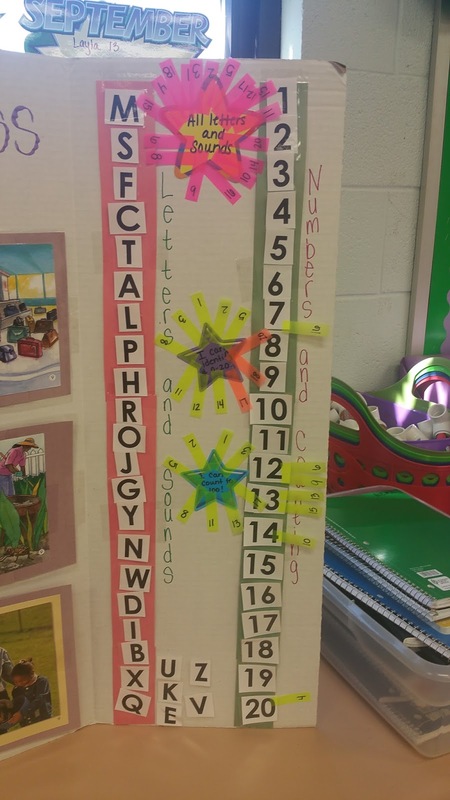 My kindergarten team a few years ago came up with a data folder for each student. 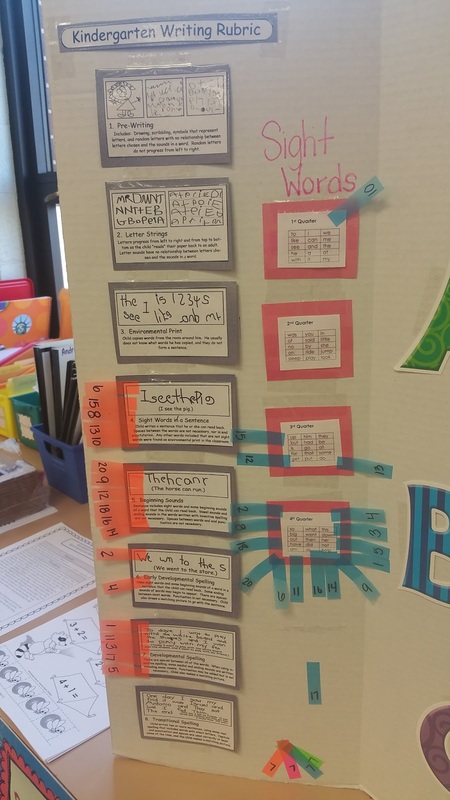 A way for them to track themselves and show that they were reaching the goals by the correct timeline the district had set for them. My kids loved being able to see their personal growth they were making, but others didn't seem to care much about putting a sticker on the correct sight word they had just read. I wanted my students to be able to see their personal growth they were making all day every day. I wanted it to be a reminder for them to push themselves harder and want to reach that next goal maybe faster than they had reached the previous one. I made this on a science board because I did not have any free bulletin boards in my classroom and I am glad that I did. It makes it easier for the kids to get to and to be able to use it during parent conferences. When I first made this my students only had to read to a C book by the end of the year. It has since changed and they need to be on a D level. So it definitely needs updating (summer project). I try to focus on the main important skills of Kindergarten. I started with their writing levels. (I found a handout on Pinterest for the different writing stages.) 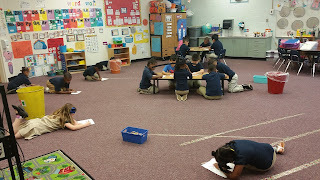 Once a month we discuss which picture best describes their writing. I talk about what improvement they have made and they give me ideas on how they believe they can reach their next goal. Next in the pink boxes is the sight words they are expected to know for their report card. They are divided by quarter. My district requires them to learn 15 words each quarter. 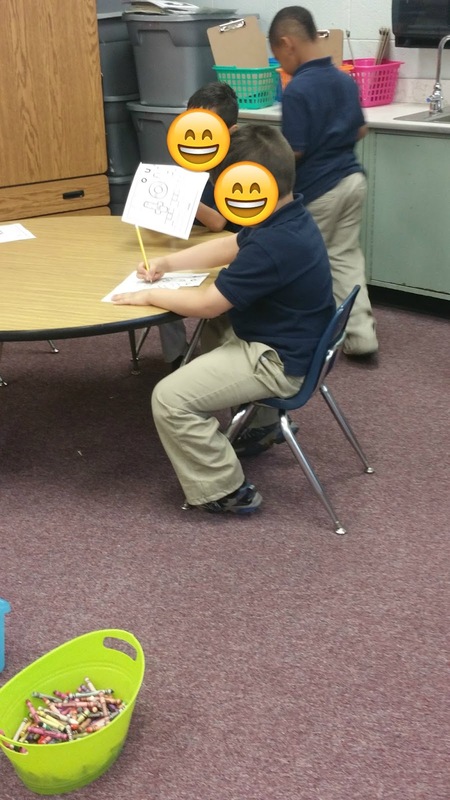 This is a huge goal they get excited about reading because once they reach it they get new words and a STICKER :) in their daily sight word folder. In the center of my board are their book levels. I think the examples of the pages from each book is great because it not only lets the kids see how much more complex each book gets, but also shows parents how many words on a page they should be reading. Again I need to add a level D book to this. (I need a bigger board I think. haha) This is another favorite of the kids. They love coming to read to me and are always asking can I move to the next book level. We really celebrate this one once they are able to move book levels. They like going over to the class library and picking out new leveled books for their book baskets. One of my favorite goals for them to reach!! Lastly, I have letters and numbers. As we learn the alphabet at the beginning of the year the students stickies move gradually until they have learned all letters and sounds then they get to move to the big yellow star!! Numbers are such a struggle throughout the school year. As you can see I still have some on their teen numbers. Their sticky gets placed on the first number they identify incorrect. On the two bottom stars I have "I can count to 100!" and "I can write numbers 0-20!". I like using the number I have given them at the beginning of the year. At this age they aren't really concerned with what number everyone else is. 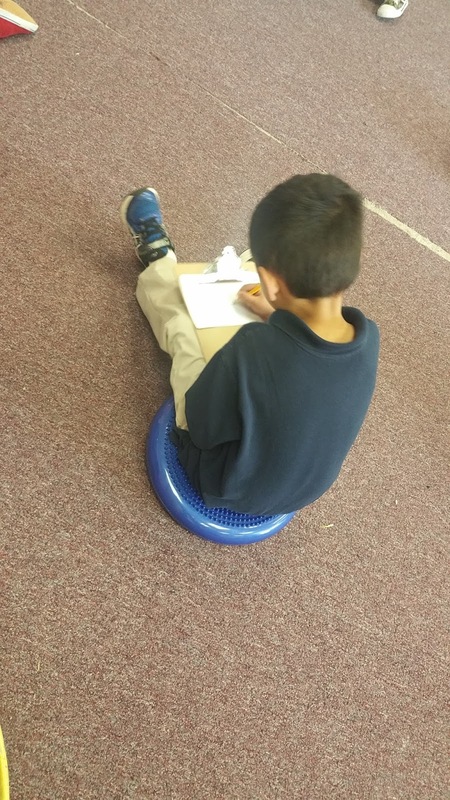 They just worry about their number and make sure they are reaching those goals to be able to go move their sticky. I will definitely be updating my progress board this summer and have it ready for my new group of goal reachers for next year. I will add an updated version once I get it completed. 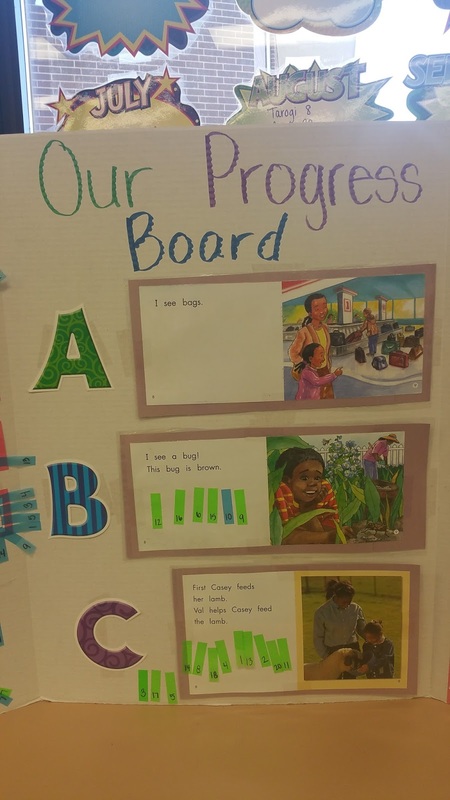 This progress board could most definitely be made to accommodate your grade level. Pick your top skills for your grade, get you a science board, and get started! I guarantee your students will love watching their personal growth and all the celebrations that come along with it! Thank you for visiting Teach.Empower.Kinder. Please check back soon for updates!